Sturdy folding exam desks. These exam desks are 60 cm wide x 45 cm deep and stand 74 cm high. They fold flat for storage and have a groove on the tops for pens & pencils. 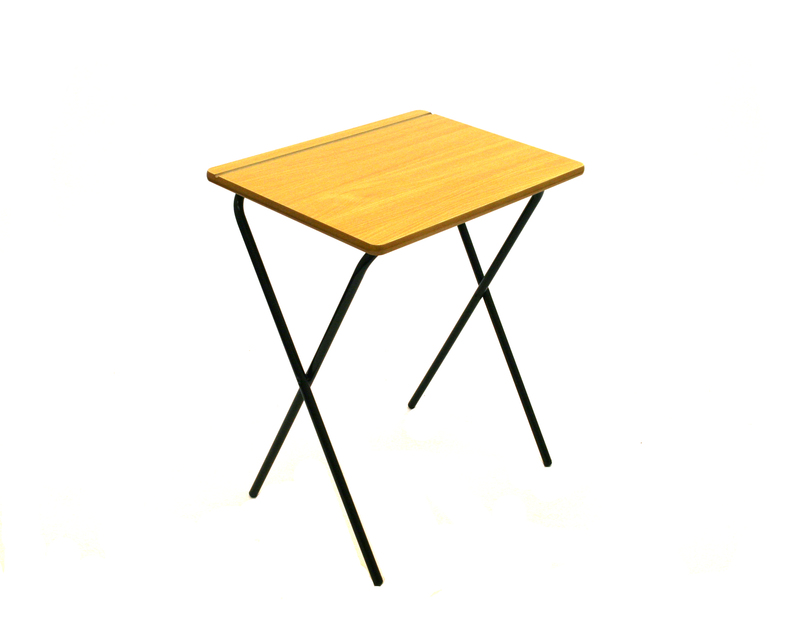 We also stock a range of tables that can be suited for multiple uses other than exams, like our smaller varnished trestle tables. We also offer a hire option on exam tables. Contact us to discuss your specific requirements.